Our factory workshop allows us to undertake the entire process of bagpipe and pipe chanter making from design and manufacture to the distribution of the finished product under one roof. 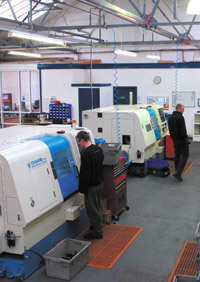 Design takes place in our planning office, where exact specifications are input to our computer programs which ensure a consistent precision finish every time. Using state of the art machinery, our instruments are precision manufactured to exact specifications under the strict supervision of our expert craftsmen. From the ageing and turning of finest quality African Blackwood to the engraving of Alloy, Nickel or Silver mounts, McCallum Bagpipes complete the whole bagpipe component making and assembly process in-house. Finally, every instrument is subjected to our strict quality control process and individually inspected to ensure that every set of McCallum Bagpipes meets the highest possible standards before leaving our factory. 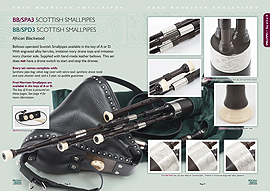 You can rest assured that you will not find a more refined instrument anywhere than a set of McCallum Bagpipes. You need Adobe Flash Player to view this video. You can watch more videos featuring McCallum Bagpipes products on our YouTube channel.